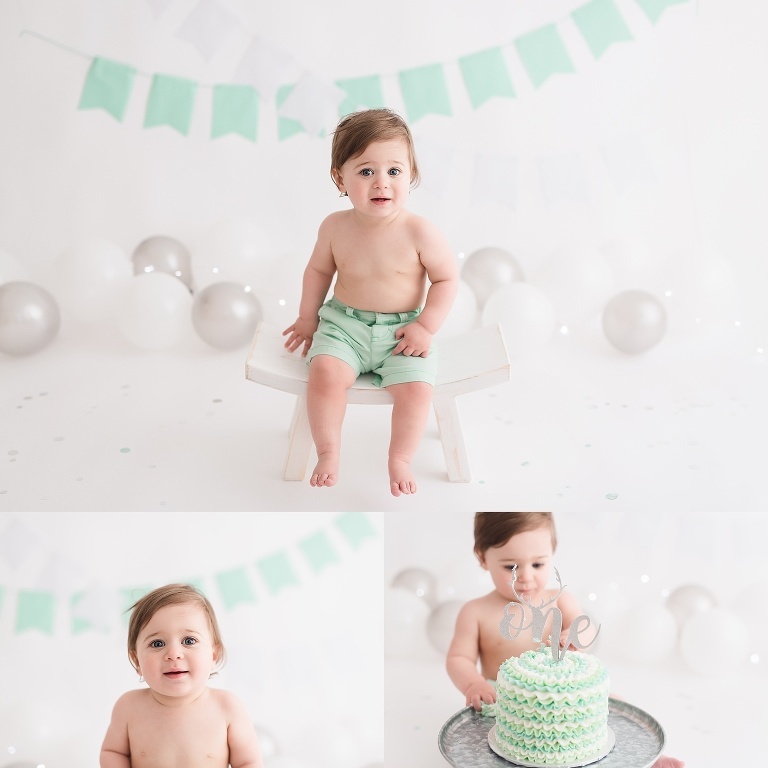 Awhile back, the sweetest little one year old boy came to my studio for his cake smash session! Some babies are not super interested in the cake, or they have to be encouraged to get messy. Jake was not one of those babies. He just dove right in. Before we got started with the cake, Jake wasn’t completely sure of me, as you can tell by the look on his face in the first image. 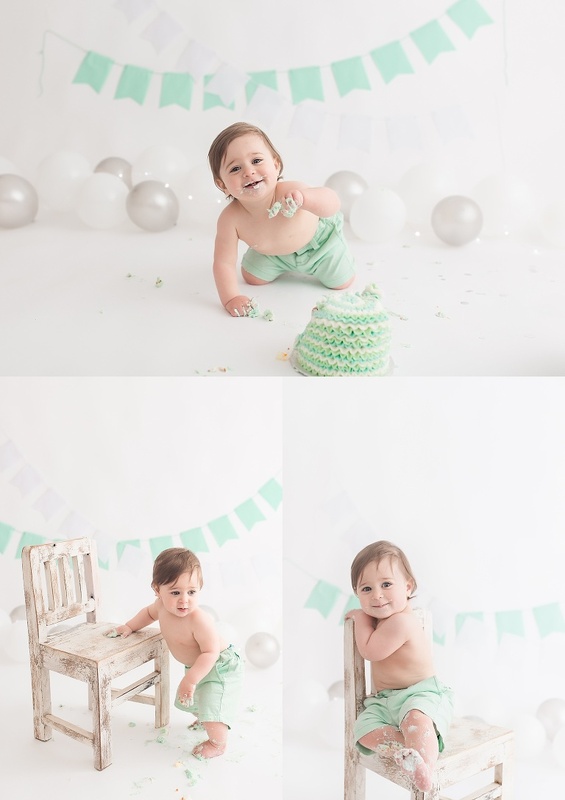 He was so sweet and sat right on the stool in his adorable mint colored shorts. I loved his gorgeous hair and how it stood out against the pale colors in his birthday set up. Then we brought out the cake! Of course it was from my talented sister’s bakery, Frosted Flour Co, and Jake knew just what to do! He had the best time digging in to that icing and then spreading it over everything he could get to. He crawled around with such glee. I had to move quick in the beginning to get a shot of him looking at the cake with the “One” on the top of it. I just loved the antlers worked into the word. Jake just wanted it out of his way so he could better smash! Once the icing was head to foot (literally all over his toes!) I got a little wooden chair for him to climb up on so he could show me his icing covered tootsies. As we brought out the tiny tub for Jake to get washed off and a few more cute shots, mom and I chatted about his favourite things. She said he loves his siblings and his musical giraffe. She also said his favourite food is pasta, but I think it might be cake now! 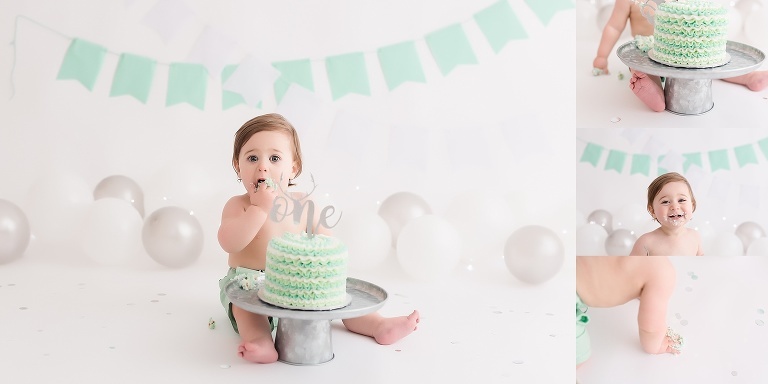 Happy First Birthday sweet baby boy! 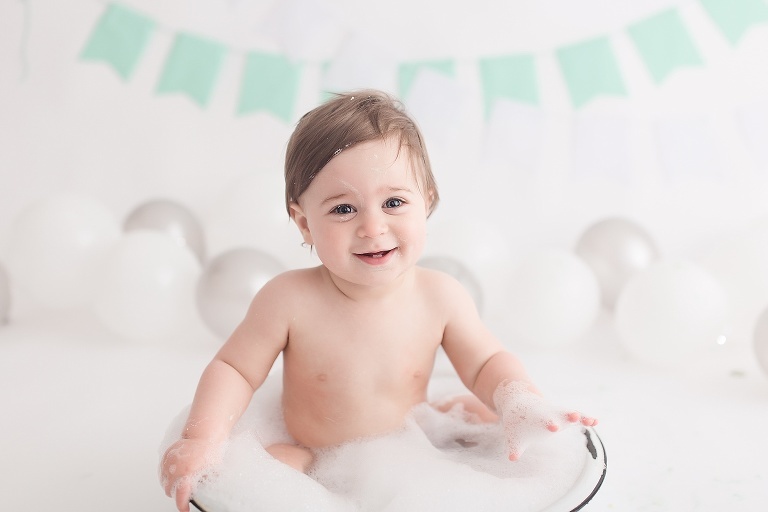 Sarah Markus Photography serves Woodstock, Ingersoll, and London, Ontario, as well as surrounding areas specializing in newborn, family, baby, and maternity photography.